Buick overhauls the Regal line, adds TourX and Sportback models. 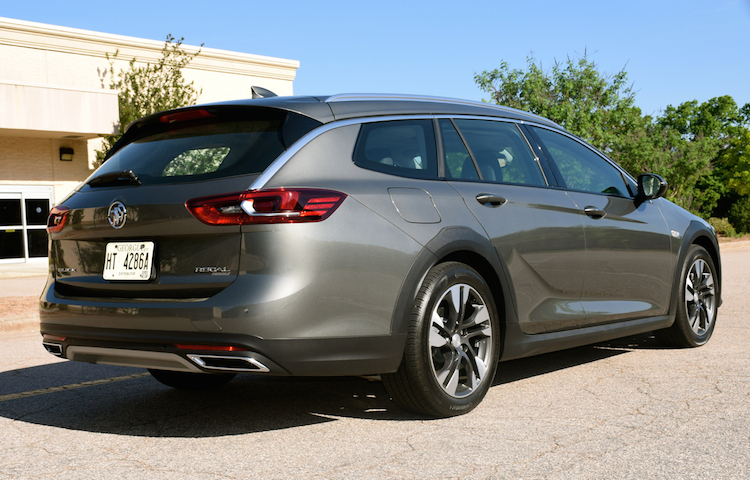 The 2018 Regal line expands to include this TourX wagon. The Buick Regal has taken on many forms across its long history, including a coupe, sedan and briefly as a wagon. Its previous iteration was as a four-door sedan, a model developed in Germany, then built in Canada for the North American market. Well, sedan sales have been deteriorating for years and after a seven-year run, Buick cancelled most of the sedan line, although the performance GS remains. Beginning in 2018, an updated Regal portfolio is in place, but this time it also includes a hatchback (Regal Sportback) and a wagon (Regal TourX). 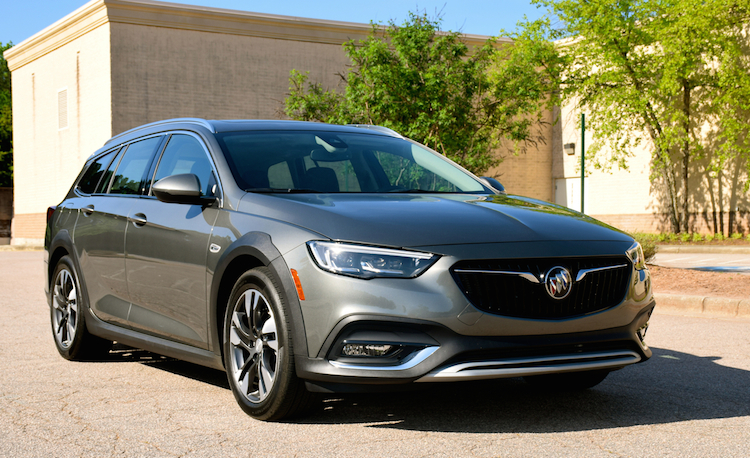 As of publication, Buick offers the Sportback in the US and Canada, while the GS sedan and wagon are exclusive to the United States. The two newest Regals are once again built only in Germany and by Opel. Up until last year, Opel was a GM division, but now owned by Groupe PSA, mainly comprising Peugeot and Citroen, the French automaker. We cannot explain for certain how or why this arrangement continues, other than to say that when the Opel-to-PSA deal became final, certain models were sharing a common platform and will likely do so for years ahead. No matter, the Regal TourX is an Opel (or a Vauxhall) Insignia in some markets, but it is also a Holden Commodore in Australia. Got it? For this review, we shall look primarily at the test model at hand — the 2018 Regal TourX. Where necessary, we will mention a few things about the Sportback, but not much else. There are some differences between the two, therefore we will not take a deep dive into what we have not driven. Just so you know, Buick markets the Sportback as a “Car,” but it lists the TourX under its “SUV & Crossovers” category. The 2018 Regal TourX comes in three trim levels: TourX ($29,070), Preferred ($32,670) and Essence ($35,070). These prices do not include the $925 destination and handling charge, nor are taxes, fees, tags or discounts factored in. All models have a turbocharged engine, an automatic transmission and all-wheel drive. The Regal TourX does not attempt to hide its wagon design and that is a good thing. Up front, it shares a fascia common to the brand with the Buick tri-shield insignia and wing-like chrome bands flowing out from the center. Sleek headlamps and pronounced cutouts for the fog lamps add sporty touches. The wheel wells come wrapped in contrasting trim, while deep sculpting marks the profile. A rising beltline and falling roofline meet to form the liftgate. The rear fascia has sleek wraparound tail lamps and dual exhaust ports. Although obviously a wagon, this model adds special styling points, including an upswept rear roof pillar. You will also find chrome door trim that runs from the front to the rear pillars, then intersects with the tail lamps. Whoever said a wagon cannot deliver flair? It is a look I found appealing. Standard equipment includes halogen headlamps, fog lamps and 18-inch aluminum wheels. Available features include LED headlamps with automatic leveling, a panoramic moonroof, power-heated side mirrors, roof rack rails and a power liftgate. When it comes to passenger space, the TourX compares with any midsize, two-row SUV. Specifically, the Jeep Grand Cherokee, Ford Edge and the Nissan Murano are three that come to mind. The main difference, of course, between the Buick and this trio is the high profile of the competitors. Other than that, the Buick compares well here. The TourX interior reminded me of the Buick Enclave, a three-row SUV with nine more inches between the wheels. Plenty of soft-touch materials, chrome and with the Essence model, leather. It is a look that is at once soothing as it is elegant, one that supplies a fitting parallel to the LaCrosse sedan. The driver-centric instrument panel is big and clear, the center console smartly ordered and uncluttered. The front seats are plush, yet firm. 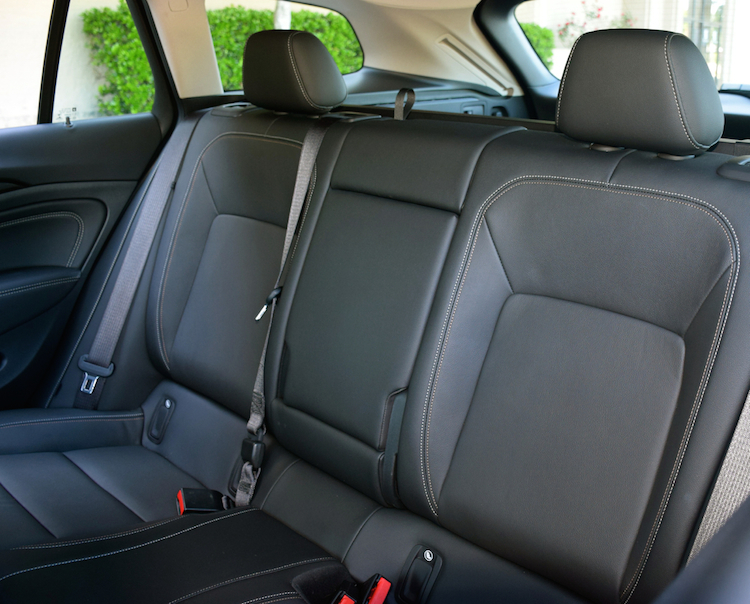 The rear seat holds two adults with ease and three when needed. My test model had leather seats, although cloth seats are standard. The cabin is very quiet and is up there with Buick’s exacting standards. Standard equipment includes full power accessories, a tilt-and-telescopic steering column and air conditioning. Among the upgrades you will find are a heated steering wheel, power front seats with lumbar support, heated front seats, ambient lighting and dual-zone climate control. Not to leave out of the discussion is the storage space behind the second-row seat. Buick supplies 32.7 cubic feet, which is more than the 23.6 cubic feet in the Enclave. 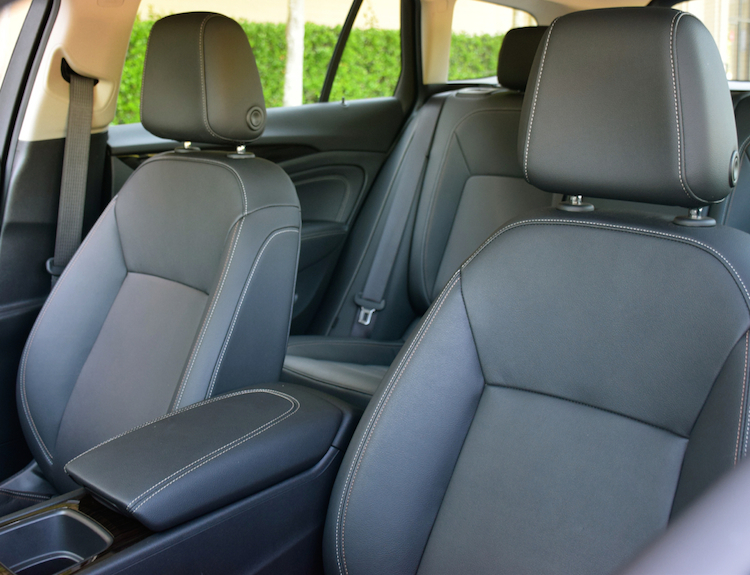 But if you fold the third-row seat in the Enclave you have a generous 58 cubic feet. Back to the TourX and you have 73.3 cubic feet behind the first row — that’s ample room to carry your gear — a bicycle, tent, skis, what have you. And that is why Buick offers a standard 60/40 or an available 40/20/40 second-row bench seat. 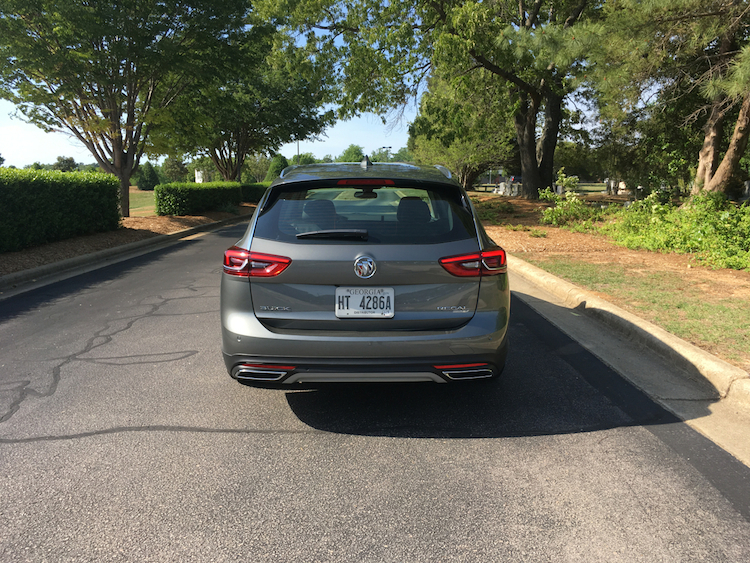 I have long praised Buick for its tech features and the TourX does not disappoint. The audio package includes a 7-inch color touch screen display, Bluetooth, and Apple CarPlay and Android Auto smartphone compatibility. You will also find a USB port inside the center console and a WiFi system for connecting up to seven devices. Other features include keyless entry and push-button start, remote panic alarm and OnStar connected vehicle services. Upgrades include HD and satellite radio, navigation, an 8-speaker Bose audio system and remote start. Wireless charging is an option. Among safety items you will find a rear vision camera. Move up through the trim levels and multiple driver-assist features roll out, including lane change alert with side blind zone alert, rear cross traffic alert and rear park assist. Other features include lane keep assist with lane departure warning, forward collision alert, front pedestrian braking, and adaptive cruise control with forward automatic braking. My top-of-the-line Essence trim had all such features present. A station wagon has a V8 engine, right? Or at least a powerful V6. Well, in this case it has neither. How about a turbocharged 2.0-liter four-cylinder engine? That is exactly what motivates the Regal TourX, delivering 250 horsepower and 295 pound-feet of torque. Buick pairs this engine with an eight-speed automatic transmission. Do these numbers seem underpowered? Well, consider how they stack up with the Buick Lucerne, a full-size model last offered in 2011: that sedan’s 3.9-liter V6 earned 227 horsepower and 237 pound-feet of torque. Further, there was a V8 available as well, delivering 292 horsepower and 288 pound-feet of torque. Thus, the torque number on the TourX beat the old V8 and that is something to keep in mind when considering this model. Off-the-mark acceleration with the TourX is quite good. When you need extra power, the turbo kicks in with only minimal lag detected. A willing transmission works unnoticed in the background and that is what we like. Direct and weighted steering imbue driver confidence, while the smooth ride should please everyone. Although not a curve carver, the TourX stays planted. The all-wheel drive system is a big help on wet roads as well as when you pull out of a corner. That’s the main difference between the Sportback and the TourX — the hatchback offers standard front-wheel drive and available all-wheel drive. I think Buick made the right decision by making the TourX all-wheel drive only. As for off-roading, this wagon is strictly designed for light-duty work — traveling on gravelly roads or dusty paths. Its 6-inch ground clearance means you won’t be following the Outback across a shallow creek or to a sandy beach. There is a revival taking place in the wagon market. Besides the TourX, you will find the Subaru Outback, Audi A4 AllRoad, Volkswagen Golf Alltrack and the Volvo V60 and V90 Cross Country models. We must not leave out the Jaguar XF Sportbrake and the Mercedes-Benz E-Class Wagon, although both aim squarely at the luxury market. I found myself almost giddy with the TourX, especially when I showed the vehicle to crossover and minivan owners. For the most part, there was a distinct love it/hate it reaction by some, but then I could see others carefully taking it in. That alone is a good thing as wagons fell out of grace long ago, especially by those who left one for a minivan. But the market is cyclical and what was once out of favor could very well catch on again. With Buick, there is no need to wait as the 2018 Regal TourX delivers. Choose the well-equipped Essence and you will come away with a loaded model for under $40,000. This represents an important price point for similar crossover SUVs. 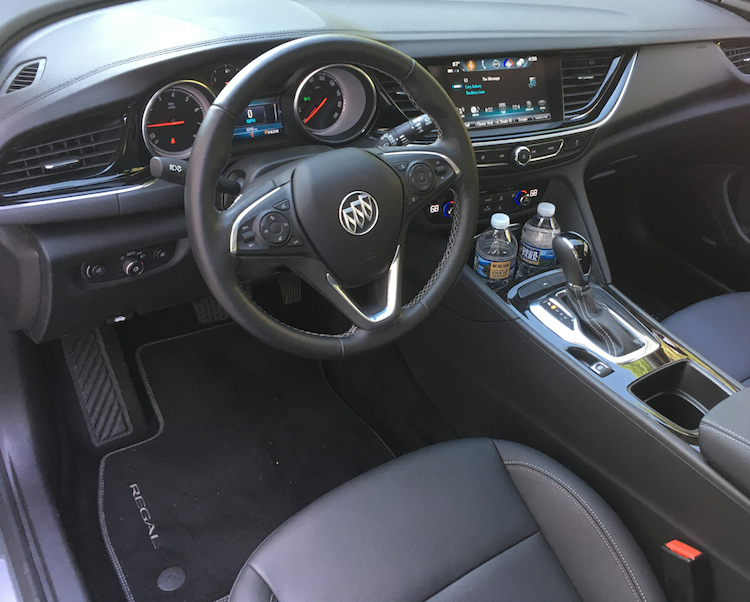 2018 Buick Regal TourX photos copyright Auto Trends Magazine. All rights reserved.